Rafal Stroinski holds a Ph.D. in law from Warsaw University Law School, an LL.M. degree from Harvard Law School, a master's honours degree from Warsaw University Law School and a master's degree in Iberian Studies from Warsaw University. He is admitted in New York State as Attorney and Counsellor at Law. Rafal Stroinski is an Associate Professor at Warsaw University Law School. His research focuses on Law and Economics and Comparative Law. Rafal Stroinski is the author of "The Business Enterprise - its Legal Character and Transfer in US, French and Polish Law" (C.H. Beck, Warsaw 2003), a chapter "Introduction to Law and Economics" contained in "Economics not only for Lawyers" (Wyd. Pr. LexisNexis, Warsaw 2003) and numerous law journal publications on corporate law and law and economics in Poland. During 2005-2006 Rafal Stroinski will be staying at Stanford Law School as a Visiting Scholar, following his receipt of the Fulbright Senior Grant and an award from the Polish Science Foundation to carry out his research. Rafal Stroinski has nine years of experience in the practice of law working initially with Clifford Chance and then CMS Cameron McKenna in Warsaw. He has been listed in "Chambers Global - the World's Leading Lawyers for Business" (2004-2005 edition) as one of the leading lawyers in the Corporate and M&A practice in Poland. working in team advising on the privatisation of Poland's largest copper manufacturer and its GDR and ADR listings on the London and New York Stock Exchanges. 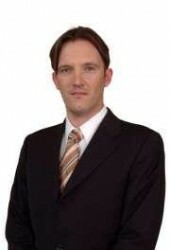 Rafal Stroinski is a member of the American Bar Association (member of Business Law and International Law sections of the American Bar Association), the European Association of Law and Economics, the Polish Private Equity Association (member of Corporate Governance Committee and SME Financing and Innovation Committee). He also holds an expert position at the Sobieski Institute (think-tank).